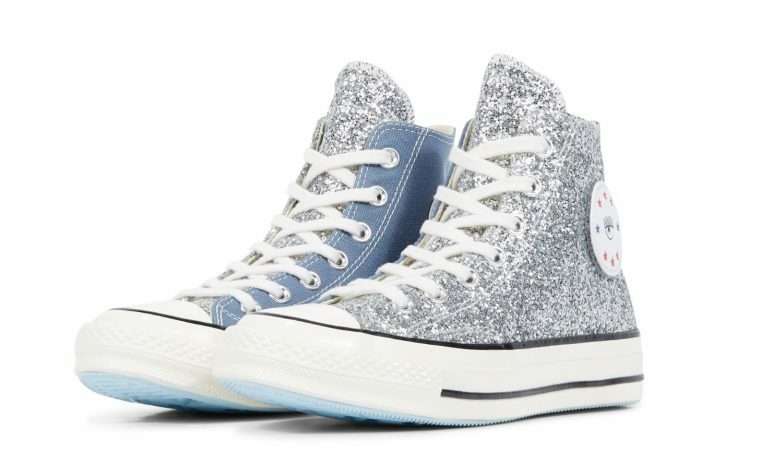 Here we take a closer look at the Converse x Chiara Chuck 70 Glitter High Top Blue. 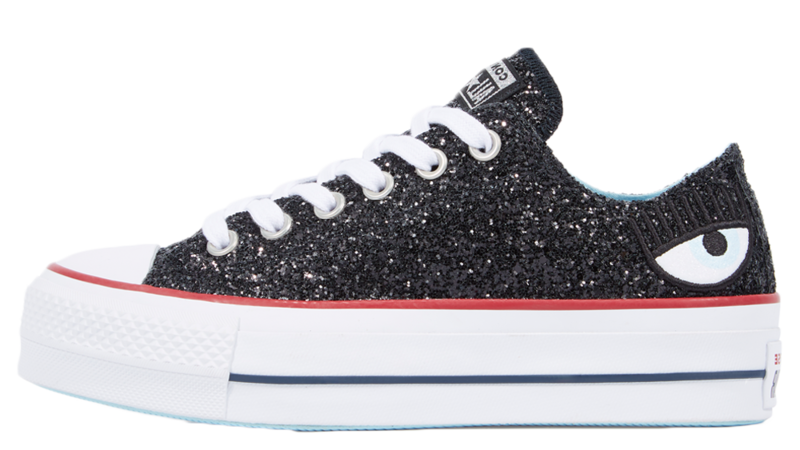 A silver and blue silhouette from the brand new Chiara x Converse collection. 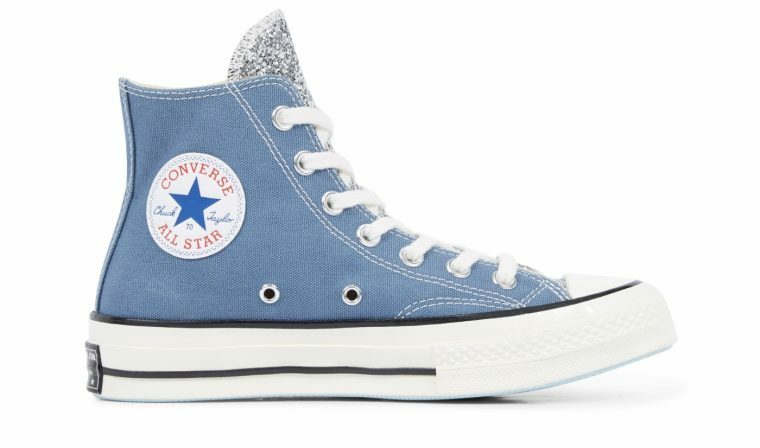 Arriving in a sky blue and silver colourway, these kicks are bright and unique. 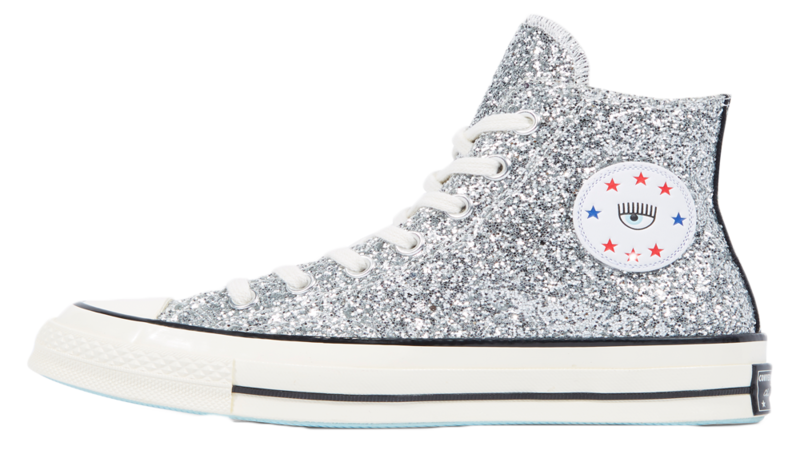 The high top design has become a streetwear must have and with the extra glitter, it makes this silhouette into the perfect contender for the upcoming party season. 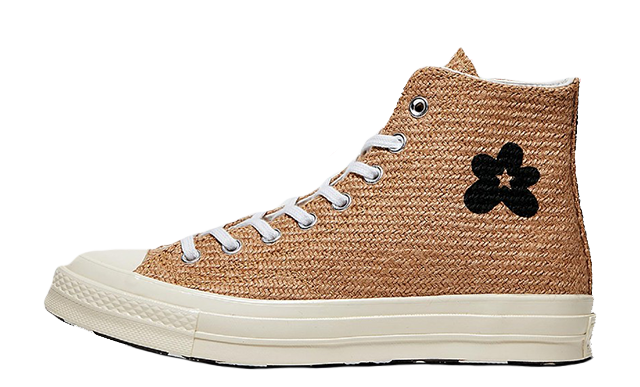 Branding is present throughout, on the inner walls with the classic All Star circular branding, on the outer wall with Chiara’s eye motif and on the tongue and heel in classic Converse style. 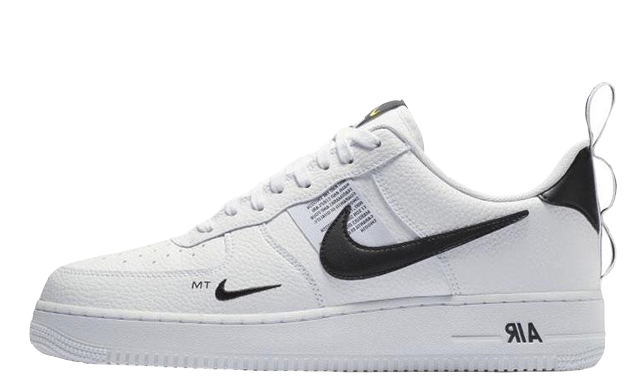 Sitting on top of a creamy white midsole, featuring Converse’s classic aesthetic, linear detailing with a rubber toe box. You can expect all of the usual feels in this silhouette, step out the house in comfort and style in the Chuck 70 Glitter High Top Blue. 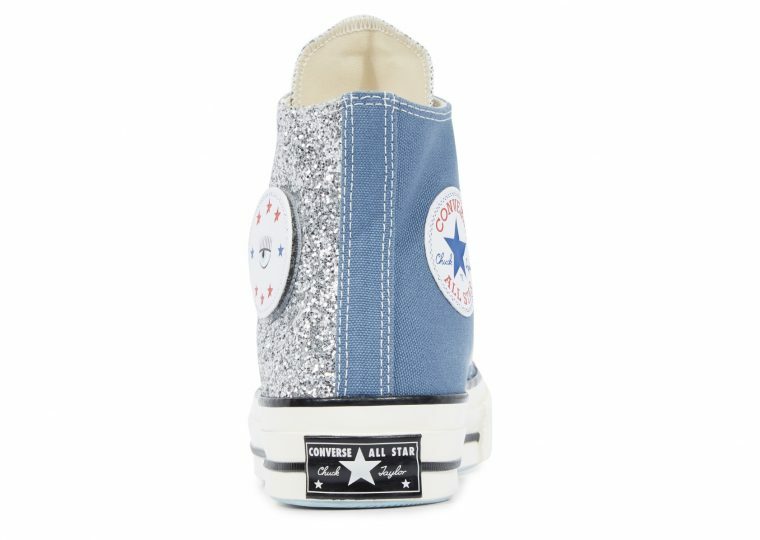 The Converse x Chiara Chuck 70 Glitter High Top Blue is available now, head to the links above to pick up your party sneakers of AW18!